You might be suprised at what you can freeze, and with such ease! It’s 104 degrees in New York City. We have two very powerful air conditioners blasting and had to purchase two fans because our apartment thermometer still reads 88 degrees – indoors! This is insanity. Sometimes I wonder if this is what hell feels like. I was about to make a new ice cream when I realized that it’s just too damn hot. That may sound completely counter intuitive but just hear me out: The thought of using one iota of muscle power to whisk ingredients, and heaven forbid, turn on the stove, had me running the other direction. 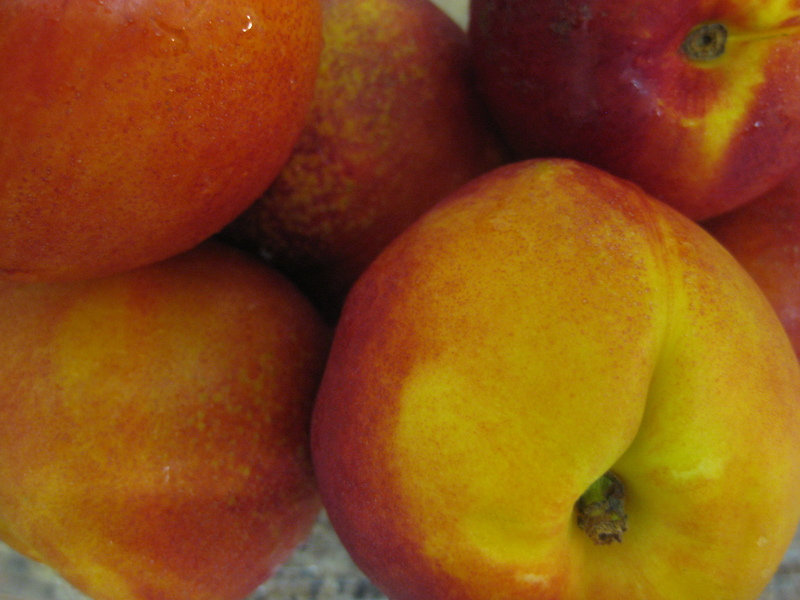 So naturally I looked in my refrigerator and realized that I had 6 nectarines that were being neglected. The Husband already dutifully downed a box of raspberries that were about to go bad, so I had to resist asking him to eat these 6 nectarines in one sitting. I also noticed that I had one cup of raspberry syrup left from my ice cream soda recipe, and that too needed a good home. Ah ha…Enter rasperine popsicles. Using nectarines and raspberry syrup I created a deliciously refreshing puree, poured them into popsicle molds and voila…rasperine popsicles. 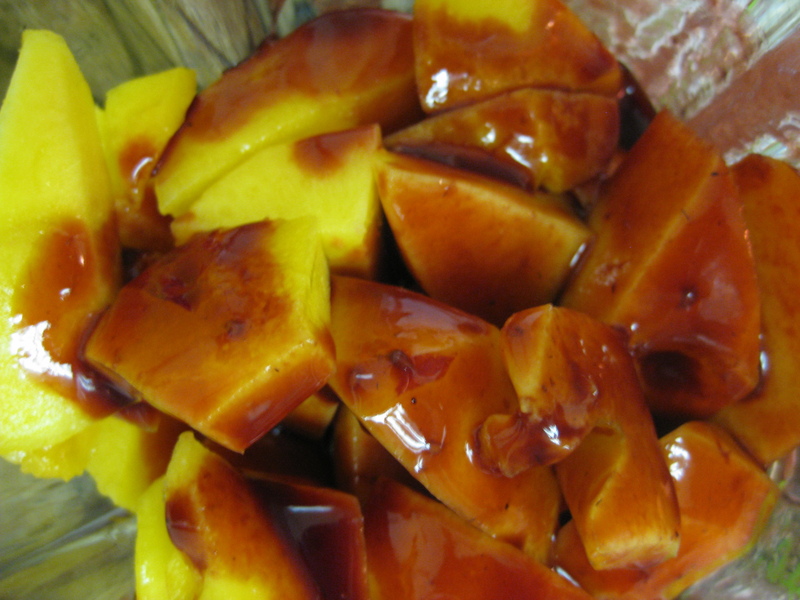 This recipe is shockingly easy and honestly can be made by mixing any variety of fruits together. The best part is, they’re just fruit so they’re gluten free, vegan, and healthy too! Four rasperine popsicles, coming right up! Puree the nectarines and raspberry syrup. Add a little water to thin/dilute the puree. Pour into four popsicle molds and let them freeze for at least 6 hours or overnight. Before eating, run the popsicle molds under warm water for 20 seconds so that they release easily from the molds. Enjoy! The Verdict: I drank the leftover puree even before it was frozen, which is a sure sign that these popsicles are good. Frozen, however, they are even better. I’m telling you, they’re refreshing, sweet (but not too sweet, thanks to the lime zest and lime juice in the raspberry syrup) and well textured (thanks to the nectarines). Do yourself a favor and try these at home. And the best part is…they don’t require any equipment. No ice cream maker, no problem. 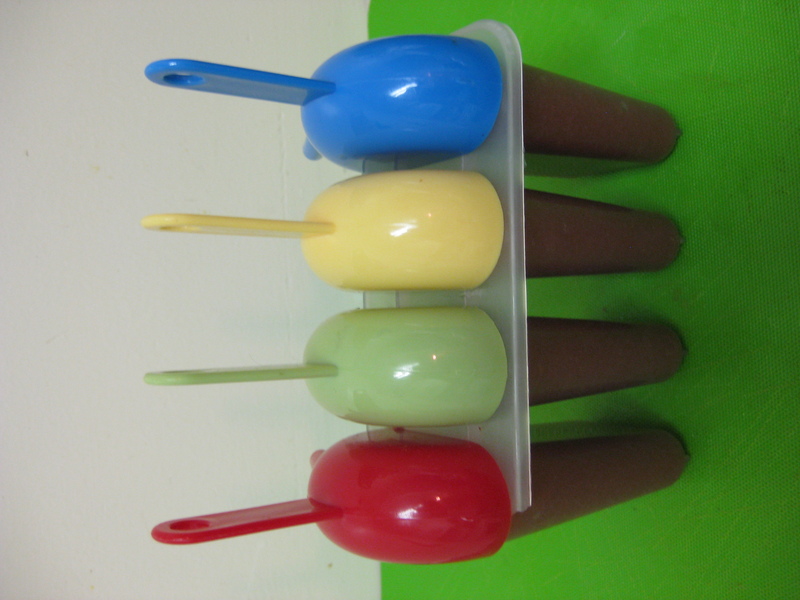 No popsicle molds, no problem, just use paper cups and popsicle sticks. These are a DIY summer dream! Happy licking to you all! This looks like great fun, I need to invest in some popsicle molds. stat.